When a family member or loved one is dealing with dementia, it can be a very scary, and very overwhelming experience for everyone involved. Many times, seniors act in a way that is so out of character that it is hard to remember they are the same person. While it can be difficult, it is important to remember to keep calm when seniors with dementia start exhibiting behaviors that you do not like or that frighten you. With this in mind, here are a few tips for dealing with some of the most frustrating and overwhelming dementia behaviors. Many seniors with dementia start exhibiting aggressive behavior or start talking aggressively as well. This is typically triggered out of fear or discomfort and the senior simply is no longer able to communicate their frustrations so it turns into aggression. When a senior acts this way, it is important to identify the cause of their aggression so you can help alleviate the cause of their frustration. While it can be tempting, it is important to never engage in an argument or act forcefully with a senior who is exhibiting dementia-related aggression as it will only make the situation worse. As a loved one or family member of someone with Alzheimer’s, it is important to not take aggressive thoughts or actions to heart and to try not to take it personally. Many times, seniors with dementia start exhibiting very poor judgment or errors in thinking. This can be something like hoarding or spending too much money or accusing people of stealing from them. When seniors are struggling with this type of lack of judgment it is important to be supportive and try to help them. You want to do whatever you can to minimize frustration and embarrassment. Once again, you don’t want to be angry or accusatory as this can make the situation worse and can actually instigate more issues with aggression if not handled properly. 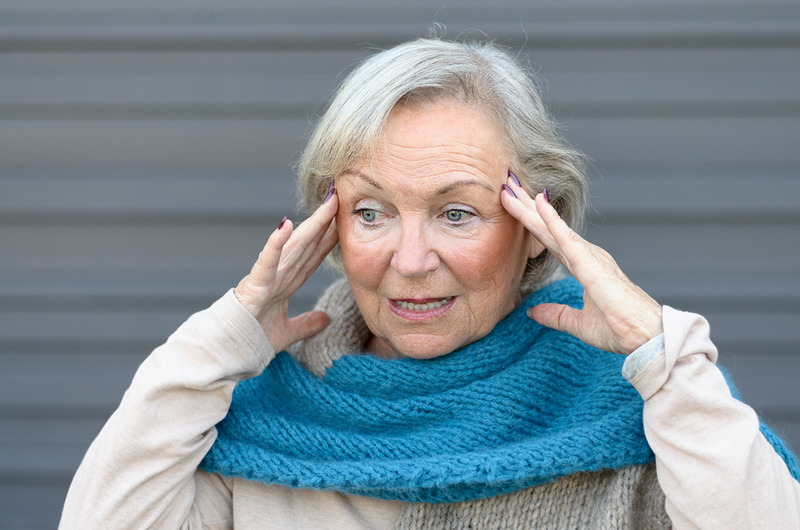 Confusion regarding time or place is extremely common among seniors with dementia. They may forget where they are, what year it is or what time of day it may be. Try to avoid giving them lengthy explanations or admonishing them for being confused. The key is to make sure you are helping them feel safe and comfortable. A common situation for many seniors with dementia is them packing their bags and wanting to leave their family member’s home or their senior care facility. Instead of arguing or trying to reason with them in this situation, you can try to distract them with another activity until they come down from their confused state. Keep these tips in mind if your loved one starts exhibiting some of these common signs and symptoms associated with dementia. It can be very overwhelming and frustrating to try to help someone with dementia, but if you are able to stay calm and think of the best way to act in your loved one’s interest, it can be a more positive experience for all involved.